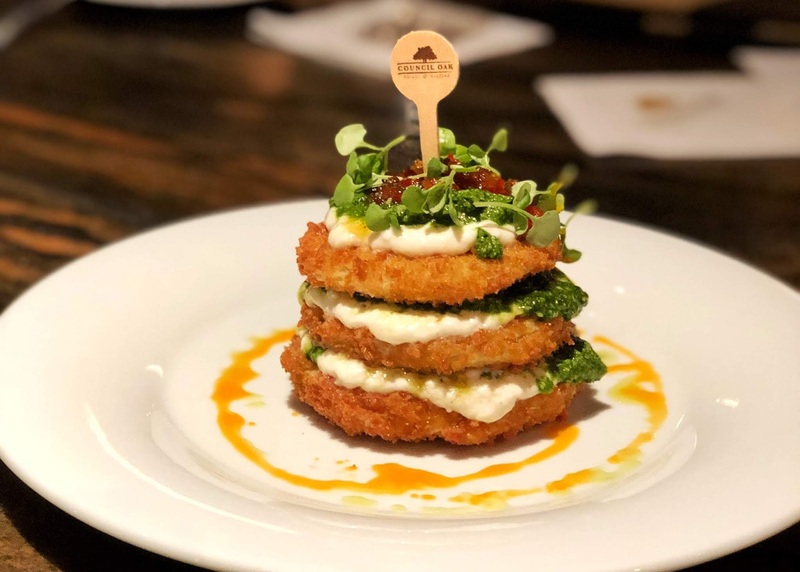 My husband Gabe and I were invited to experience the newly launched Social Hour menu at Council Oak inside of Seminole Hard Rock Tampa. 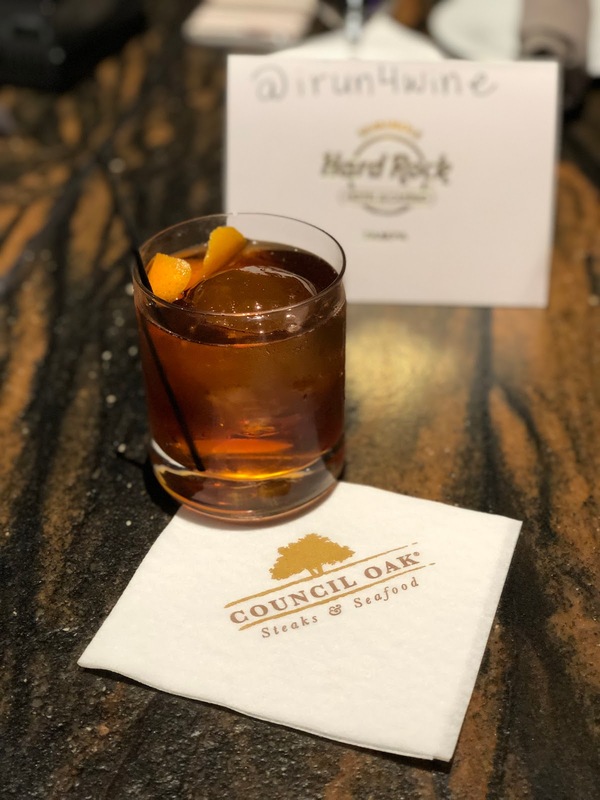 Social Hour at Council Oak is their version of Happy Hour and they are offering signature drinks and bites 7 days a week from 4pm-6pm (!!!) in their Lounge. 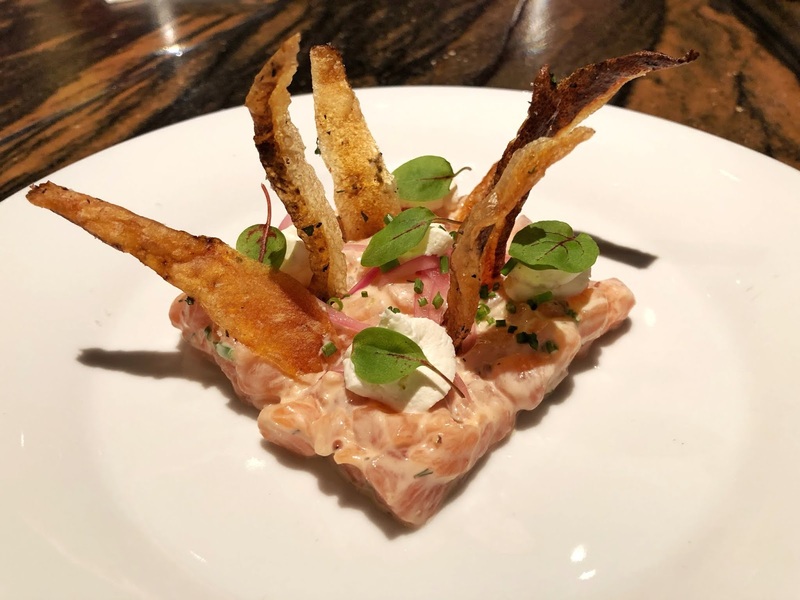 Council Oak is our favorite restaurant in Tampa. It is fine dining so we don't get to visit very often. 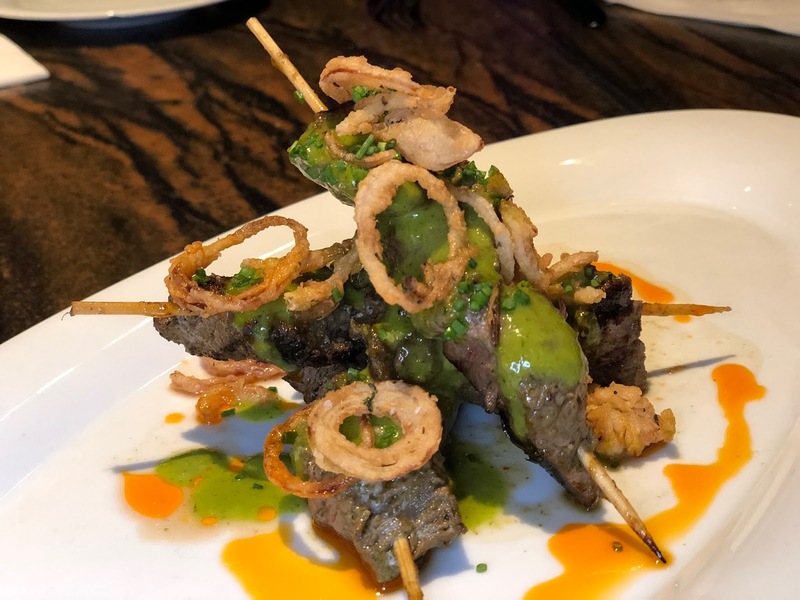 Having options under $20 at Council Oak is a fantastic deal and their menu variety on the Social Hour is very impressive. 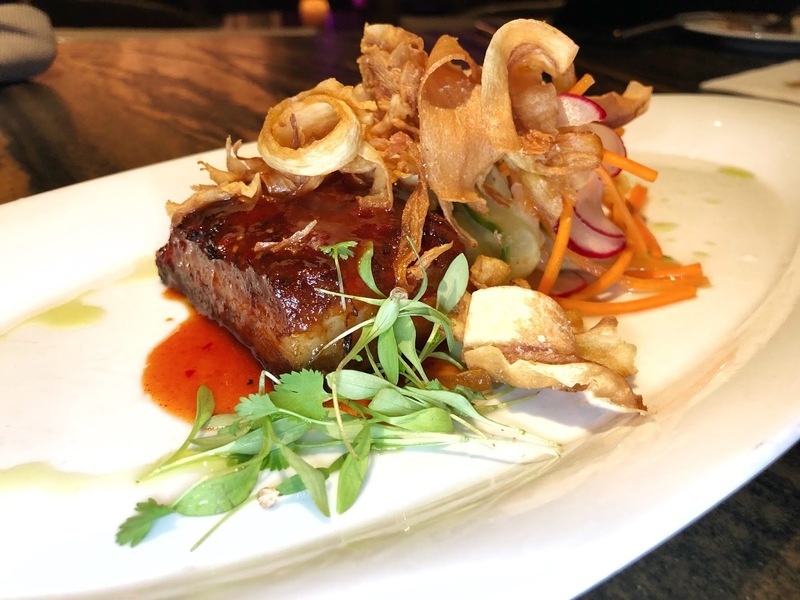 Reduced pricing on food and drink while listening to live music is a perfect night out. Everything we tried was excellent. 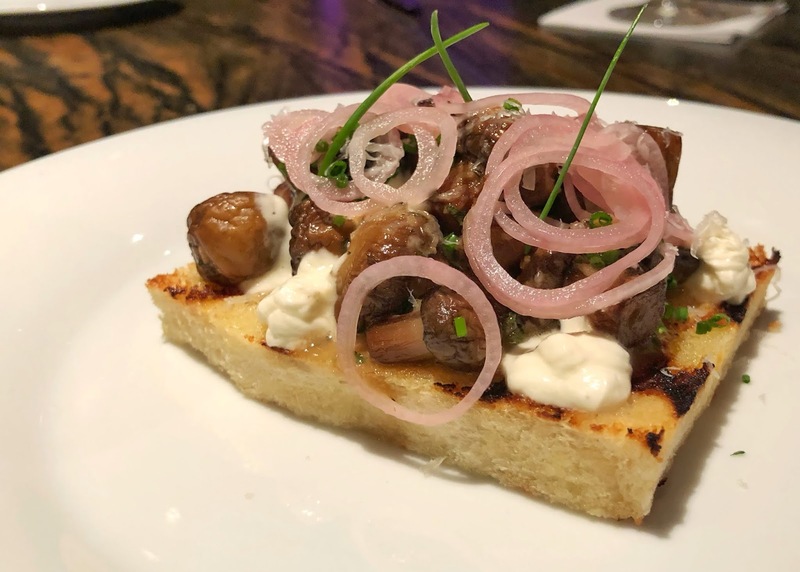 My favorite signature bite was the Grilled Brioche & Mushroom Toast and Gabe's favorite was the Grilled Beef Tenderloin. 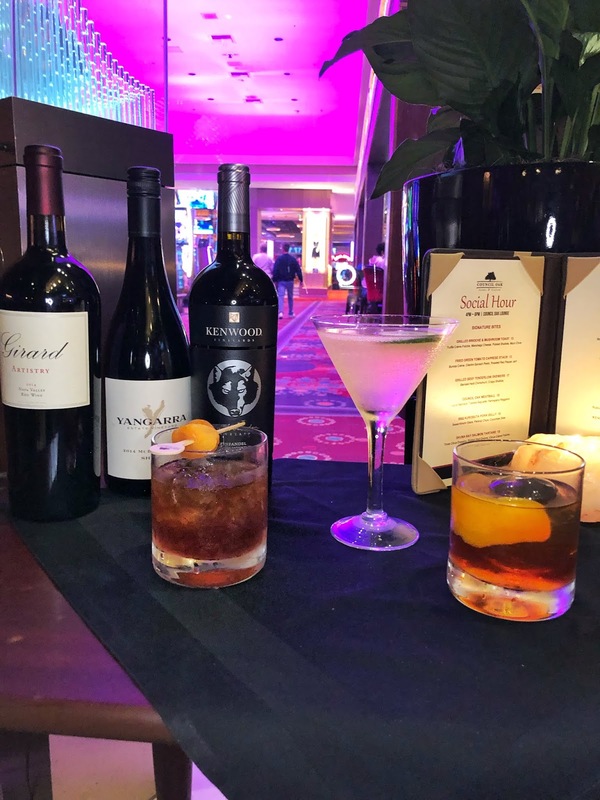 There are a variety of wines and craft cocktails on the Social Hour menu at a reduced price. The wines will vary over time. Seminole Hard Rock Tampa is known for their cocktails, so it wouldn't surprise me to see those change up! Gabe and I tried the Cucmber Gimlet and the Perfect Americano. The Cucumber Gimlet was delicious and very easy to drink. You can keep up with all the happenings at Council Oak online. 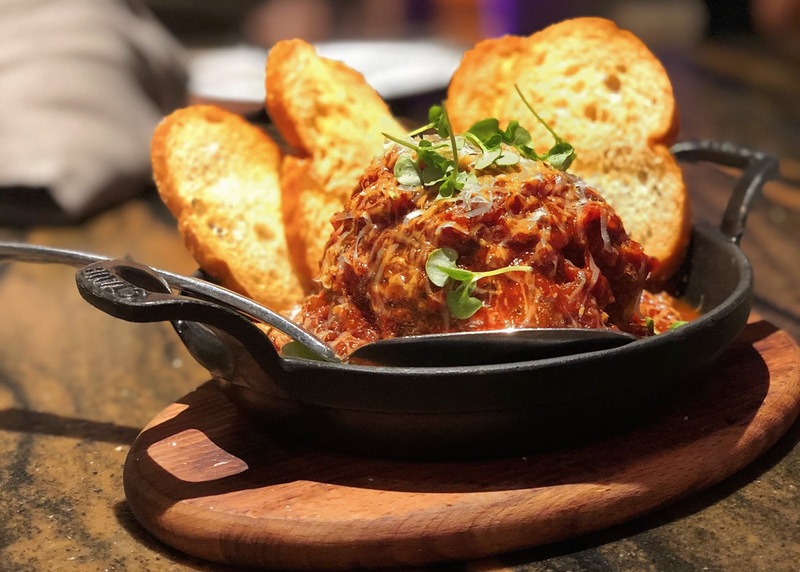 If you haven't been to Hard Rock in a while, I suggest a visit. They recently opened up another wing that is non-smoking and the construction is moving along fast. Special thanks to Seminole Hard Rock Tampa for hosting us at Social Hour. As always, all opinions are my own.